With through domain understanding, we are engaged to provide excellent quality Brass Oil Lamp. We take extreme honor in presenting our alluring range of PolishedGardenOilLamp(ItemCode:01030003). 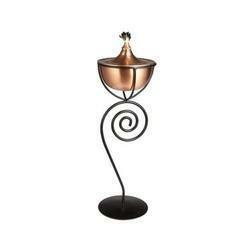 This oil lamp stand is available in the market in 30X17X12 cms standard size. Our oil lamps are made from superior quality metal such as S. Steel and Iron. 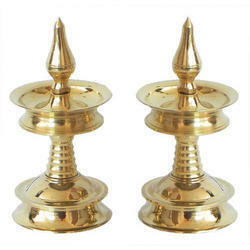 These oil lamps are widely acclaimed for their shiny polish finish and shiny appearance. Owing to our years of experience in this particular domain. we are able to provide our clients with the premium quality Temple Diva Stand. Our reputed entity is engaged in supplying Oil Lamp Stand.